(MoneyWatch) One of my favorite sayings is from 19th century humorist Josh Billings: "It ain't what a man don't know as makes him a fool, but what he does know as ain't so." I'm persistently reminded about it when I talk to investors about their concerns. 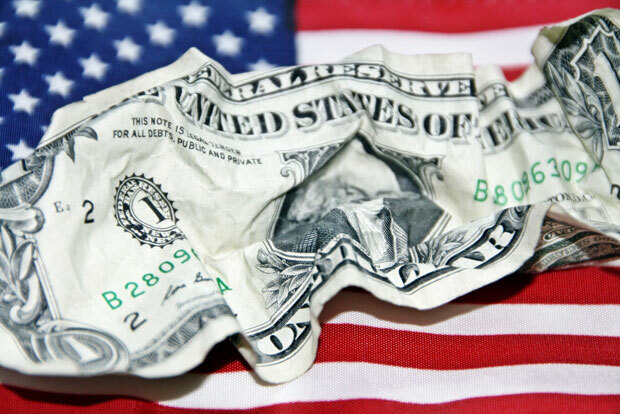 One of the often cited concerns is that our government's fiscal policy and the Federal Reserve's monetary policy have caused the dollar to collapse. So I thought I'd share the results of my review of the "videotape" and provide you with the facts (instead of allowing the fiction to persist). The St. Louis Federal Reserve reports on the trade-weighted value of the dollar. At the end of February, it was 100.0. Five years earlier, it was 95.9. Thus, we can see that over the past five years the U.S. dollar's trade-weighted value actually rose about 4 percent. Taking a longer look, its value 10 years earlier was 123.0. That's a loss of about 19 percent. However, it was just 83.8 20 years ago -- that's a gain of about 19 percent. It's certainly true that our fiscal problems and the Fed's dramatic increase of its balance sheet from about $1 trillion to about $3 trillion create the risk of future inflation and a falling dollar. But the fact is that, at least for now, the dollar hasn't fallen dramatically in value. Here's another related myth that persists among many investors. I persistently hear that the growth rate of our money supply is exploding. That belief has probably been fueled by those commercials that recommend buying gold because central banks are printing money like Weimar Germany all over again. The fact is that M2, a broad measure of the money supply, hasn't been growing at rates that would suggest rampant inflation should be expected. The following data is from the St. Louis Federal Reserve's web site and presents the last five years of growth in M2. The compound rate of growth was 6.5 percent over this five-year period. Since, as legendary economist Milton Friedman noted, "inflation is always and everywhere a monetary phenomenon," the factual data doesn't support the view that we should expect rampant inflation. In fact, despite the views of many investors who seem certain that we will see massive inflation, neither the bond market nor professional economists are expecting anything of the kind. We can at least get an estimate of what the market's forecast of inflation is by looking at the difference between the roughly 2 percent yield on 10-year nominal bonds and the roughly -0.7 percent yield on 10-year Treasury inflation-protected securities. The difference, 2.7 percent, is what's called the breakeven rate. The market's estimate of inflation is lower because some portion of the 2 percent yield of the nominal bond is a risk premium for unexpected inflation. At any rate, investors in aggregate don't appear to be concerned about rampant inflation. As to the forecast of economists, the Philadelphia Federal Reserve's First Quarter 2013 Survey of Professional Forecasters has a 10-year forecast of 2.3 percent. Again, they don't believe rampant inflation is likely, let alone inevitable.